I was born on the “Apple Isle” of Tasmania. I am a massive foodie. 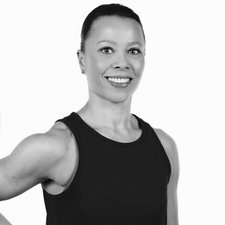 Personal Trainer, Level 4 in Exercise to Music and Sports Massage. Don’t avoid the gym floor! Is it wrong to say to a good wine bar (that preferably also serves cheese)?!? Shaky, in a really good way. Monday to Friday, food is just fuel to train so I keep my diet healthy and simple and my training structured and consistent....the weekend is another story ! !